Maggie is a very shy girl who lives in her own world, shielded by an overflowing imagination that, among other things, makes her believe that whatever she draws with her magic markers becomes real. She’s lucky she sees life this way, because her story is a sad one: her mother abandoned her when she was a baby and she grew up with her grandfather, with whom she feels happy in her castle, which is in fact a little house. But the grandfather is forgetting who he is, he has senile dementia, and the city’s social workers want to separate them, to send them each to a different center. Maggie can’t let this happen, her grandfather is all she has, and so she decides to go looking for her mother, because she is the only one who can prevent them from being separated. She no longer believes she is a mermaid, as her grandfather told her when she was a child; a mermaid who had to return to the sea because she could not breathe out of the water. 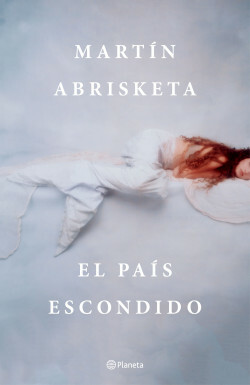 She finds drugs in a box that belonged to her mother and, in desperation, goes out to the streets of that leaden Bilbao, searching for some drug addict who might have known her and who can lead them to her. Fortunately, she is not alone in the face of danger: she is accompanied by her grandfather, who enjoys this search through the underworld of a city full of barricades as if it were a fabulous adventure. She is also aided by a neighbor her age, as innocent as she is, and by a ghost who lives in the wall of her bedroom, with whom she shares all her secrets. She also has the power of her miraculous drawings, with which she will try to save her world, a world full of magic, from which, however, she must escape to be happy again.